Granite Works are one of Australia’s most trusted manufacturers of natural stone products. We’ve built our reputation through providing great customer service and high quality products with an experienced team who are passionate about natural stone. Anston Architectural designs and manufactures the finest quality paving and landscaping products found in the gardens of the best architects and designers in Australia and beyond. From tiny courtyards, townhouse gardens and poolscapes of gracious mansions; to urban streetscapes and shopping precincts. Anston Architectural has a diverse range of colours, finishes and paver sizes to suit any application. Better Exteriors supply & deliver first class stone, natural stone cladding & glass mosaic pool tiles from many quarries both in Australia and overseas. This includes: - Bluestone - Granite - Travertine - Sandstone - Cladding - Ledgestone - in a z-tile panel format - Cladding - Drystone - available in a loose piece format - Glass Mosaic Pool Tiles We stock a comprehensive range of paving and pool coping in these products, however our specialty is in tailoring stone dimensions and surface finishes to suit any project, both domestic and commercial. 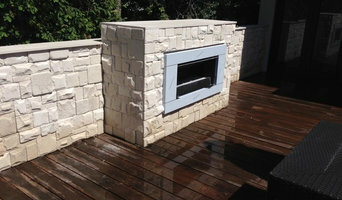 We also distribute from leading manufacturers both locally and overseas: - EPave - Masonry paving - Retaining walls - Brick & block - Clay pavers - Sealers & Adhesives - Turf - both natural & synthetic - Decorative Garden Screens Our philosophy is to offer quality natural and manufactured stone at affordable prices. We have been supplying the landscape industry for well over 10 years, our stone being utilised in some of Australia's most prestigious properties.The quality of our stone couples with its affordability has made it the preferred choice amongst many leading landscape designers and award winning landscapers. Better Exteriors directly source first class stone from select quarries, based on quality, price and the environment. This allows us to deliver top grade stone at competitive prices. Better Exteriors always strive to identify new market possibilities to meet customer's needs and expectations. We consistently invest into new product ranges to broaden our path to market. At Stone 101 we strive to source and supply the finest stone products. Not only do we offer products directly from the importer and manufacturer at competitive prices, we offer design input for all your custom requirements and solutions to all your natural stone on any project. We offer a supply and install service for all our stone products as well as a full landscape design construction service with over 30 years experience. 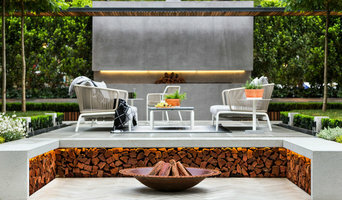 Yarrabee & Castlemaine is presenting Melbourne’s best range of stone products for commercial and residential applications. We have a beautiful range of stone products for both indoor and outdoor areas of your property. Stones are offered for different applications such as paving, pool coping, wall cladding, dry stone walling, stone flooring and water features. We supply a great range of stone wall cladding products and also an exciting range of quality Gabion baskets. We provide the best customer service, Melbourne's biggest and we believe best Stone Showroom, and provide all of our quality products at extremely competitive prices. Ultimate Stone located at 1/2 Silkwood Rise, Carrum Downs, VIC, is a leading natural stone supplier in Melbourne. 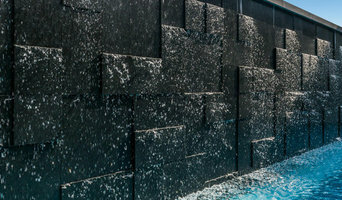 We deliver different types of high quality stone including Natural stone, bluestone and granite supplier in Melbourne. Apart from these, we also deliver stunning design and high quality of sandstone, travertine and limestone in Melbourne. Our highly expert and experienced team of stone experts have tight grip over flooring stone market trends in Australia. We help you get the best quality flooring stones for home, office and other properties. Ultimate Stone also deliver reliable range of pool coping in Melbourne. Simple yet elegant, and stunning yet economic, our high quality pool coping range is exclusively designed for you! Our best quality flooring stones will definitely enhance the look and feel of your properties. We also sell best quality stones for your pond packs in Melbourne. You can choose from Bluestone, Ice Grey Granite, Ash Grey Granite and Black Granite for your pond packs. Splendour in Stone share your passion for natural stone as a building material of immense beauty and practicality. Natural stone has an intensity about it. The look, feel, texture and permanence of stone is something found in no other material. It can transfix you and transform your home. Throughout history man has built some incredible structures and artworks using stone. Each structure, art piece and sculpture tells a story and it is the stone within these works that give it the curiosity and admiration. Whatever your vision, at Splendour in Stone our mission is to enable you to realise the dream you have using natural stone to create your own story. Our dedicated team at Splendour in Stone are passionate about the beauty of natural stone, and believe stone pavers deserve the utmost in craftsmanship. We can provide preferred installers for you should you require a contractor to complete the job no matter what the size. Experienced in handling a wide range of stone pavers, our Melbourne team can work closely with you to explore your options from beautiful travertine to sandstone, to bluestone and granite will find the right natural stone for you. We are certain our selection of natural stone pavers and cladding will inspire you to make your visions a reality. Have a look at our gallery for beautiful stone wall and paving inspiration. Please contact us to talk to an expert for any information you may need. Terrazzo floor installation, restoration and repair, Polished Concrete Floors, Epoxy floors, Marble & Stone floor Grinding & Polishing, restoration and sealing. Welcome to Grange Surfacing! We specialise in Resin Bound Stone Surfacing. Our resin bound stone surfacing is permeable, hard-wearing, suitable for vehicular traffic, seamless and looks great. Resin Bound Stone can be applied as a complete permeable solution or as an overlay for an existing surface. We are pleased to align with StoneSet and install the StoneSet product to your project because we believe in StoneSet quality, experience and expertise in resin bound stone surfacing, their sustainable approach to material sourcing and the brand they have created in Australia. We believe in building relationships that last well after a project is completed. Through strong communication and an understanding of the unique needs of each client, we look forward to working with you on your next project. Limestone Australia specialises in the supply of natural limestone from across Australia for building. cladding and landscaping. Our limestone products come from quarries in Western Australia and South Australia which have their own distinct texture, unique beauty, earthly charm to subtle sand colouration for the desired natural feature. Schneppa Glass™ is a specialist supplier in the field of environmentally friendly recycled glass products and premium grade photoluminescent stones. Starting off as a supplier of Recycled Crushed Glass, Schneppa Glass™ has expanded its range of quality products, which now include Mirror Glass, Fire Glass, Glass Landscaping Rocks and Glow in the Dark Stones. We source only the finest quality aggregates from both within Australia and across the world. We cater for all sized order requirements, from small domestic jobs to large commercial builds. If you are looking for a particular glass or glow product that we do not have listed- let us know and we will see if we can source it for you. An Australian owned and run business operating in Melbourne, Victoria, we offer Australia wide delivery on all our products. Alternatively, orders may be picked up from our showroom, conveniently located in Burwood, Victoria. Edwards Slate and Stone in Melbourne, Victoria's largest stock holding of natural stone tiles/pavers suitable for Australian conditions, professional advice on stone selection & sealers, value for money, trusted service since 1922. Our product range include Travertine, Bluestone, Granite, Slate, Limestone, Marble, Sandstone, in tile, paver, pool coping or crazy paving. We also stock cobble stone & pitchers, stepping stones, garden rocks & pebbles, Slate mulch. A Endeavour Hills, Victoria stonemason can add kerb appeal to your home and is usually hired for home projects such as driveways, pathways, pool coping and home facades, but can also build retaining walls and fit stone cladding. In some instances, their work can extend to features inside the home, from fireplace surrounds and mantels to staircases. Find an Endeavour Hills, Victoria stone, paver and concrete professional on Houzz. Scroll through this page to find a stonemason, paver or concreter in your area. Just enter your suburb in the top field to narrow your search. You can browse their latest projects, read reviews and see how other homeowners rate their work, and message them directly.